This pretty palm-fringed, crescent-shaped beach is listed in the book “1,000 Places to See Before You Die”. You can have the beach to yourself for a private picnic or an afternoon of snorkeling so you can truly appreciate this idyllic setting in peace. 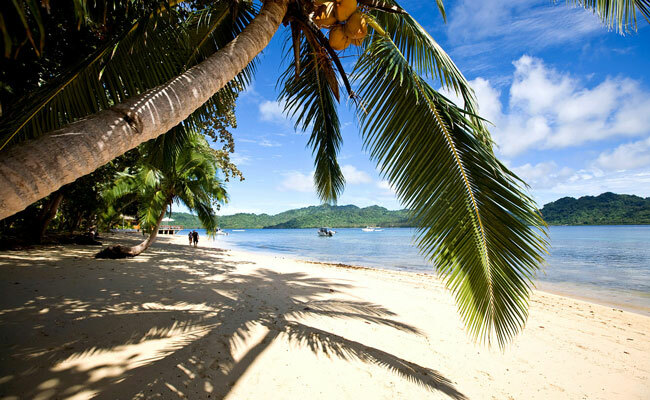 Horseshoe Bay is accessible from one of our favorite northern Fiji resorts, Matangi Private Island. 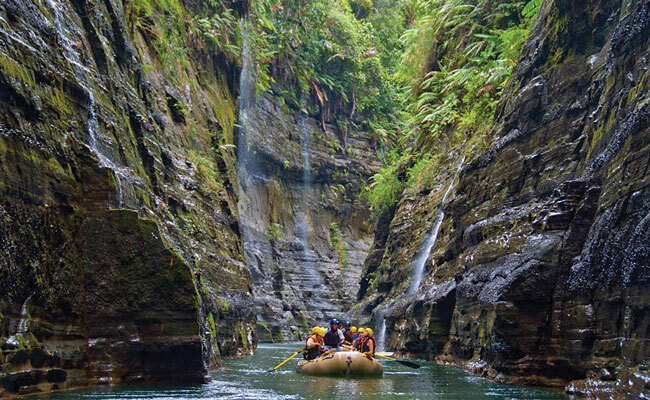 If you are active, the Upper Navua River Gorge is a must visit in Fiji. The best way to experience the gorge is on a full day white water rafting trip. Float through narrow canyons with waterfalls cascading down on either side of you. The grade of rapids varies by time of year, but the rafting can be done regardless of experience level. This is considered one of the most epic one day rafting trips in the world, mostly because of the stunning scenery. 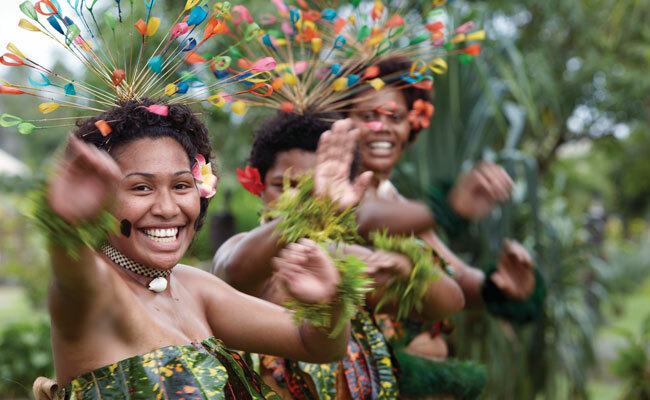 The Fijian people are some of the most friendly and welcoming in the world. For a memorable experience, be sure to visit a local village. Most hotels and resorts can organize a visit for you, often to a village that is home to their staff members. Upon arrival, you will be greeted by the village elders and invited to sip from the kava bowl, the local drink made of taro root. Sometimes you even get to visit a school or local businesses to learn about their traditional way of life. You will enter the village as a stranger and leave as a friend. 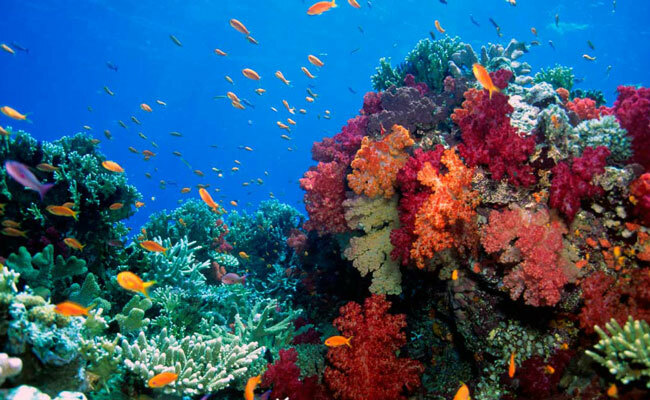 Fiji is know for its excellent snorkeling and scuba diving. The best spots are in the “Soft Coral Capital of the World” are in the northern islands and Beqa Lagoon off the coral coasts, but most areas have abundant sea life and colorful coral. For the adventurous, there is a unique shark dive in the Beqa Lagoon where you come into close contact with nurse and reef sharks while they are feeding. Not for the faint of heart! This is the only absolute “must do” on any trip to Fiji, no matter if you are young or old, active or chill, Type A or Type B. Fiji is all about slowing down, unplugging, and adjusting to “Fiji time” which means no watches and no worries. Ready to plan your own trip of Fiji. Browse our custom Fiji vacation packages or give us a call at 888-367-0933 and we would love to help you plan the trip of a lifetime!